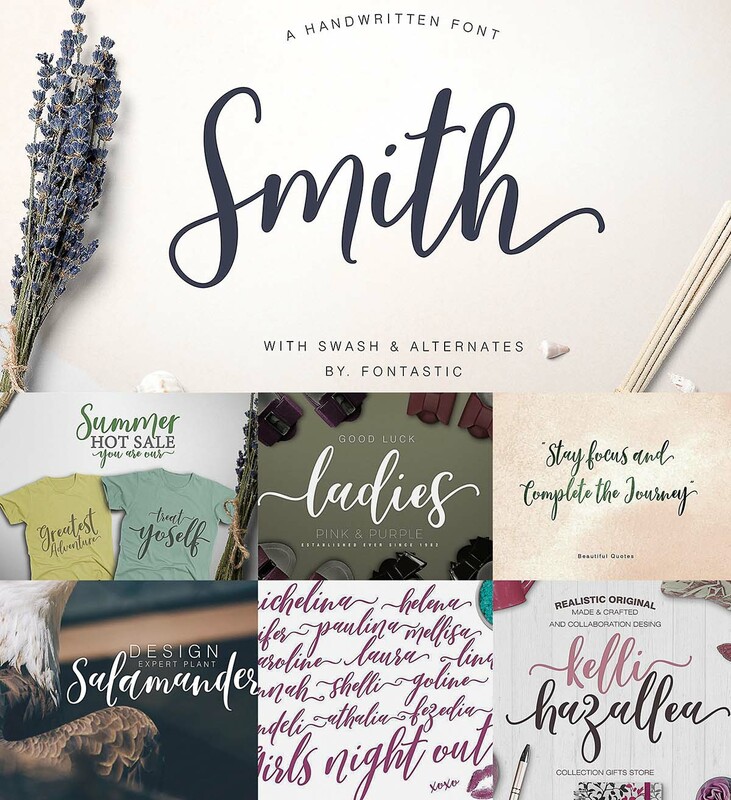 Smith Script font style comes with an amazing character. Ideal for a logo, a name tag, handwritten quotations, product packaging, goods, social media and greeting cards. It contains a complete set of lower and upper case letters, assorted punctuation and numbers. Tags: decorative font, fancy, handwritten font, pretty, script, signature font, type, wedding font.